Boeing Satellite Systems, Airbus Defense and Space and Orbital ATK have won orders from Luxembourg-based satellite operator SES for three new communications spacecraft for launch in 2017. SES announced the deals with three satellite manufacturers Monday for spacecraft to serve markets in the Americas, Europe, Africa and the Middle East. 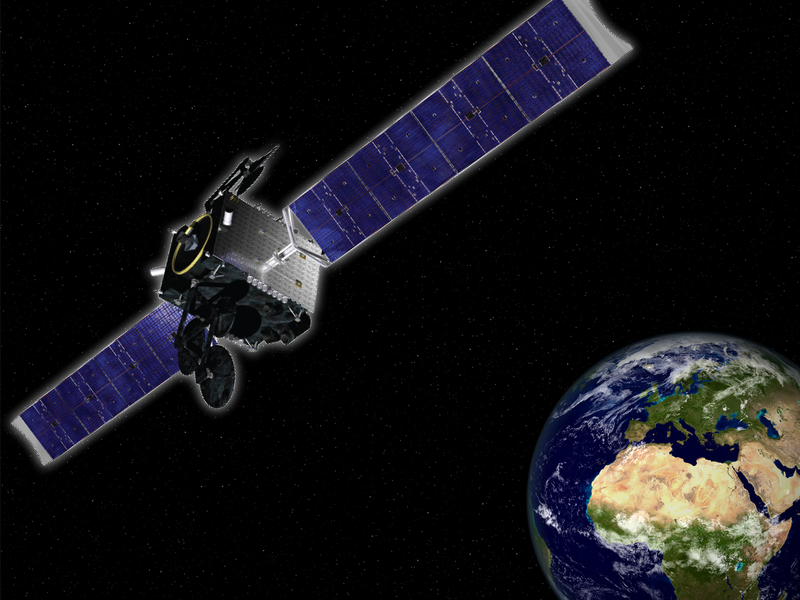 The SES 14 satellite will be built by Europe’s Airbus Defense and Space for launch in the fourth quarter of 2017. Built on the Airbus Eurostar E3000e satellite bus, SES 14 will carry Ku-band, C-band and Ka-band payloads to support direct-to-home television broadcasting in the Americas, plus mobile, maritime and aeronautical communications. The Airbus-made satellite will be positioned at 47.5/48 degrees west longitude, where SES says it will replace and expand capacity currently provided by the NSS 806 satellite launched in February 1998 by an Atlas 2AS rocket. Boeing Satellite Systems of El Segundo, California, will build the SES 15 spacecraft — based on the Boeing 702SP platform — for launch in the second quarter of 2017. It will host Ku-band and Ka-band communications transponders for coverage over North America. SES 15 will beam in-flight WiFi and other entertainment programming to airline passengers traveling over North America. “The procurement of SES-15 shows our strong confidence in this dynamic market. It will give us new growth momentum and strengthen our position in the important North American government and mobility markets,” said Martin Halliwell, SES chief technology officer. The third spacecraft ordered by SES will be manufactured by Orbital ATK, marking the Virginia-based firm’s first major satellite contract since Orbital Sciences and ATK finalized their merger Feb. 9. 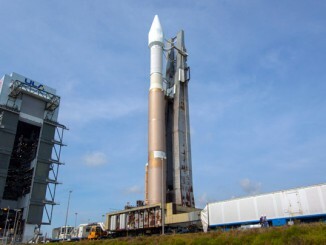 Orbital ATK’s GEOStar 3 platform will be the basis for the SES 16/GovSat satellite. The mission is a partnership with the government of Luxembourg called LuxGovSat. Luxembourg has committed to purchasing a significant amount of capacity on the SES 16/GovSat satellite in support of its NATO obligations, according to SES. Parked in geostationary orbit at 21.5 degrees east longitude, SES 16/GovSat will operate in dedicated military frequencies in X-band and Ka-band reaching users in Europe, Africa and the Middle East. 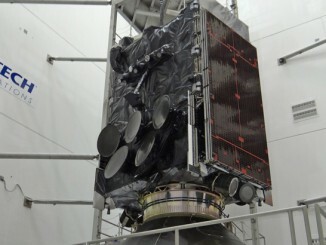 Arrangements for launch services for the three new SES satellites have not been disclosed. All three satellites will have a launch mass of about 4,200 kilograms (9,259 pounds) or less. Two of the satellites — SES 14 and SES 15 provided by Airbus and Boeing — will use all-electric propulsion systems to reach their final orbits after separating from their launch vehicles. SES 15 is Boeing’s first firm contract for an all-electric satellite since it rolled out the innovative new spacecraft bus in 2012. 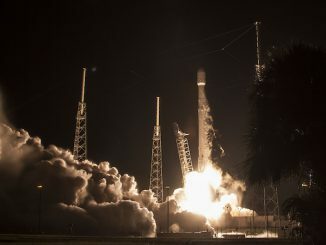 Boeing’s first two satellites fully relying on electric propulsion will launch at the end of February on a SpaceX Falcon 9 rocket, followed by another pair of all-electric payloads on another Falcon 9 mission in late 2015. Airbus has also revealed its own all-electric satellite platform, and the European company says the SES 14 order is the third win for the new spacecraft bus in a year. The last two all-electric satellites bought from Airbus by SES and Eutelsat are due for launch on Ariane 5 rockets. The all-electric satellites do not require tanks of chemical propellant, reducing the spacecraft’s launch mass and allowing the payloads to fit on smaller, cheaper rockets. Satellite operators choosing to buy an all-electric satellite bus are making a trade, however. Instead of taking a few weeks for a satellite to reach an operational location in geostationary orbit with conventional orbit-raising maneuvers, the all-electric platforms will take at least four months to climb to their final positions, depending on their launcher. The SES 16/GovSat satellite built by Orbital ATK will use a traditional bi-propellant chemical propulsion system to raise its orbit, then a combination of hydrazine-fueled and electrically-powered arcjet thrusters for fine-tuning its position in space.